The jailed daughter of a prominent Syrian prisoner of conscience was released on Wednesday under a general amnesty announced two days earlier, a human rights lawyer told AFP. Tens of thousands of other detainees held under Syria's controversial anti-terror law remain imprisoned despite the amnesty. "Raneem Maatuq has been released; I spoke with her a little while ago," lawyer Michel Shammas told AFP. Raneem is the daughter of Khalil Maatuq, a prominent Syrian lawyer, who is still being held in one of the country's notorious security branches. Her release comes two days after President Bashar al-Assad announced a wide-ranging amnesty, which was unprecedented because it pledged pardon for people sentenced under a July 2012 anti-terror law that has seen tens of thousands jailed over the course of the revolt. Earlier on Wednesday, state news agency SANA announced the release of 274 people from central Damascus prison, also known as Adra jail. SANA did not specify when the prisoners were released, but described them as "a first batch" of people released under the amnesty. A car bomb exploded in a pro-government neighbourhood in the central Syrian city of Homs on Thursday, killing at least seven people, state media and activists said. The Syrian government took full control of Homs last month after rebels withdrew from their strongholds in the Old City as part of a negotiated evacuation deal following a nearly 2-year siege by the military. That agreement has largely restored a sense of calm and order to the city, although car bombs still occasionally target government areas. Thursday's blast occurred in the Wadi Dahab district and killed at least seven people, the Britain-based Syrian Observatory for Human Rights said. The activist group said five of the dead were civilians, but it was not clear whether the other two were civilians or pro-government gunmen. 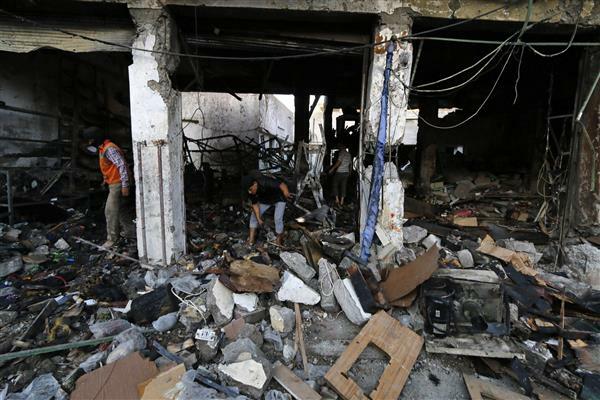 The Syrian state news agency also put the death toll at seven, and said 25 more were wounded. President Bashar al-Assad has said that Western countries are starting to shift their position on the conflict in Syria because of the danger posed to them by the rebel groups they had previously backed. Leaders of the Group of Seven industrialised nations have said they will tighten their defences against the risk of attacks by fighters returning from Syria. "The United States and the West have started to send signs of change. Terrorism is now on their soil," said Assad, according to remarks published in Al-Akhbar, a Lebanese newspaper sympathetic to the regime in Damascus. Syrian state media accused Saudi Arabia and the West of complicity with the jihadist Islamic State of Iraq and the Levant that has captured swathes of Iraqi territory. Echoing claims often made by the regime and its supporters, state media said Saudi and other allies of the Syrian opposition were funding and arming jihadist groups like ISIL. "Terrorism is spreading in front of the eyes of the western world... and alongside it are the fingers of Saudi Arabia, providing money and arms," the Al-Thawra daily wrote. "In the events in Iraq and the escalating terrorist campaign, no Western country is unaware of the role Saudi is playing in supporting terrorism and funding and arming different fronts and battles, both inside and outside Iraq and Syria." The editorial also accused Qatar and Turkey of playing similar roles backing extremists "according to US demands or Israeli desires." "The emergence of these organisations is not the result of a vacuum but rather long and clear support for terrorism... which the Gulf has dedicated its finances to expanding," it said. This video allegedly shows the aftermath of explosive barrels dropped this morning by government forces on the Bustan Al-Qasr neighborhood in Aleppo. Turkey's Deputy Prime Minister Besir Atalay has said the number of Syrian refugees in Turkey now exceeds 1 million. The number of Syrians who are housed in refugee camps and cities in neighbouring Turkey has reached 1.05 million, Turkish Deputy Prime Minister Besir Atalay said on Thursday. Helicopters have dropped explosive barrels on Al Yadudah in Daraa Countryside according to the Syrian Revolution General Commission. The SRGC added that clashes erupted between government forces and the Free Syrian Army in the vicinity of Tareeq Al Sad in Daraa . Syrian state news agency SANA has reported that units of the army have continued advances in Atman town in Daraa countryside and gained control over al-Ghizlan, Qader al-Bitar and al-Qaser al-Ahmar farms, eliminating a number of "terrorists". Kurdish activists say government forces in northeastern Syria heavily shelled the town of Tal Hamis, a stronghold of the Islamic State of Iraq and the Levant near Qamishli, on Friday. Unconfirmed reported said ISIL retaliated on Saturday, targeting government bases with homemade missiles. A civilian vehicle in the Israeli-controlled Golan Heights was targeted by forces in neighbouring Syria in an attack that killed a 15-year-old boy and prompted Israeli tanks to retaliate by firing on Syrian government targets, the Israeli military said. Sunday's death was the first on the Israeli side of the Golan since the Syrian civil war erupted more than three years ago. Two other people were wounded in the attack. 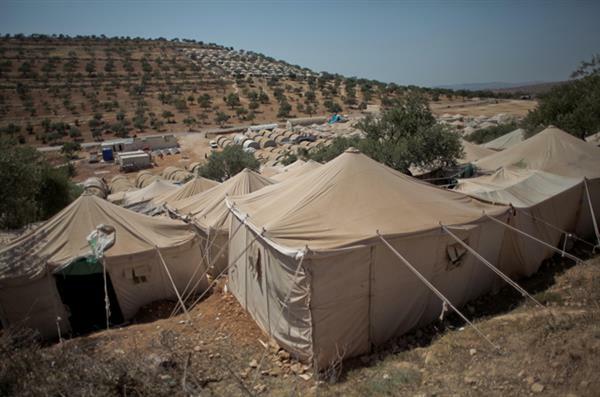 In a tent camp on a hill overlooking the Turkish border, Syrians displaced by the war live in dire conditions. Rebel mortar fire on a government-held district of Damascus killed five people Tuesday, state media said, as a car bomb killed one person in a pro-government area of the city Homs. Five people were also wounded by the mortar fire on the south Damascus district of Kissweh, the state SANA news agency reported. The car bomb in Homs wounded 14 people in a district mainly inhabited members of the same Alawite community as President Bashar al-Assad, the the UK-based Syrian Observatory for Human Rights said. Southeast of the capital, pro-government forces fired three missiles at the rebel-held town of Mleiha, which has been virtually flattened by months of bombardment by the army and its Lebanese militia ally Hezbollah. The death toll from a Friday truck bombing in the central province of Hama meanwhile rose to 43, including 11 children, the monitoring group said. 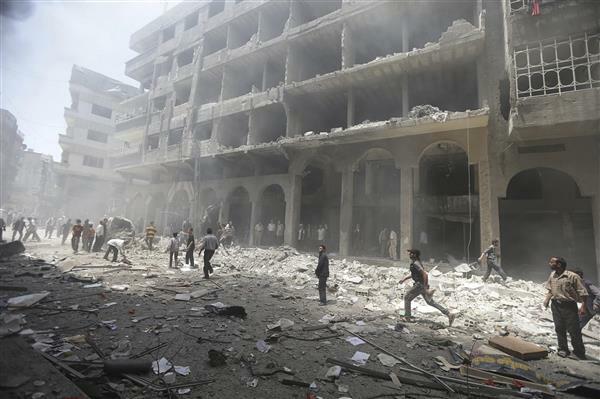 The bombing was claimed by the Islamic Front, Syria's largest rebel alliance. Turkey has raised fears over potential spillover from turmoil in neighbouring Iraq, as NATO promised not to hesitate to defend its ally from the widening conflict. Speaking on the sidelines of a NATO gathering in Brussels, Turkish Foreign Minister Ahmet Davutoglu called for greater cooperation with its allies to meet the threat posed by the rise of fighters in Iraq and the continuing civil war in Syria. "We are going through a very difficult process in neighbouring regions of Turkey and the Mediterranean and the Middle East," Davutoglu said as he met his US counterpart John Kerry. "Now it is time to consult more frequently, act together as two strategic allies," he said. NATO chief Anders Fogh Rasmussen said in talks with foreign ministers of the 28-nation alliance. An aid convoy headed towards Deir Ez-Zor has been stopped and denied passage by Al Nusra Front at a check point in Turkman Bareh, Aleppo province. "What is ironic is that ISIL, after long negotiations, agreed to allow aid to pass through Al-Raqqa province under one condition, no money or aid will be transported for the rebels, only civilian aid." Abu Alyaman, the Al Nusra Emir in the area responsible for holding the convoy said, "Deir Ez-Zor province is going to fall in the hands of ISIL, why let the aid get to them." With signs of an eminent ISIL take over of Deir Ez-Zor, many tribes and brigades, running out of ammunition and food, have begun speaking of a "solution" for their ISIL problem. 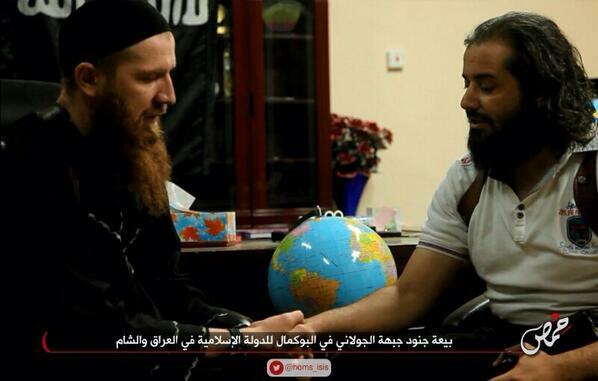 One of the leaders of the Genoud al Haq faction, which is linked to Nusra Front in the city of Al Bukamal, Abu Yusuf Al Masri, with the ISIL leader in Deir Ezzour, Abu Omar Al Shishani. The picture was posted on ISILmedia accounts. The aftermath of what activists said were barrel bombs dropped by forces of Syria's President Bashar al-Assad in Aleppo's Karm al-Jabal district. The UN aid chief has appealed to the Security Council to take action on the "inhuman" obstruction of humanitarian relief in Syria. Four months after the 15-member council adopted a resolution demanding rapid and unhindered humanitarian access, Valerie Amos, UN undersecretary for humanitarian relief, said there were 10.8 million people in need of help. "Arbitrary restrictions and obstructions, including bureaucratic procedures imposed by the government, limit or obstruct where we deliver aid, to whom and how often," she said. "Some opposition groups have also attacked, threatened and refused to cooperate with humanitarian workers." Syrian UN Ambassador Bashar Ja'afari described the UN estimate of the number of people in need as "exaggerated." "My government is committed to its responsibilities in alleviating the humanitarian burden of our people. We are ready to take any measures to achieve that so long as they are in accordance with our national laws and sovereignty," he said. But aid workers were frustrated at spending endless hours negotiating with Syrian authorities, who were also blocking shipment of medical supplies into rebel-held areas, Amos said. 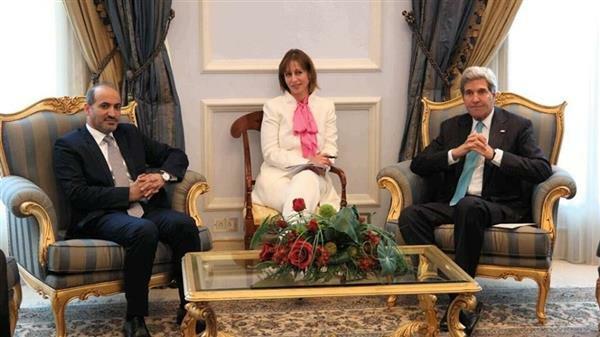 "The focus of the government of Syria remains on controlling the work of the UN and its partners. Our focus remains on the people who so desperately need our help," she said. "This level of obstruction is inhuman." ISIL has executed and crucified eight Syrian rebels in Aleppo province, a UK based human rights monitor has claimed. The opposition Syrian Observatory for Human Rights said the men were killed at the main square in the village of Deir Hafer. A barrage of mortar shells hit government-held areas of the northern city of Idlib on Monday, killing 14 people and wounding at least 40, Syrian state media said. Idlib is the provincial capital in northwestern Syria and it has been under the control of President Bashar Assad's troops since the beginning of the Syrian conflict in March 2011. Rebels trying to overthrow Assad's government control the areas around the city. They have been besieging the city for more than two years, firing mortars into the government-held areas and clashing with Assad's troops at its outskirts. The state-run SANA news agency said mortars shells fell on several parts of Idlib on Monday afternoon, including a residential area and a market. 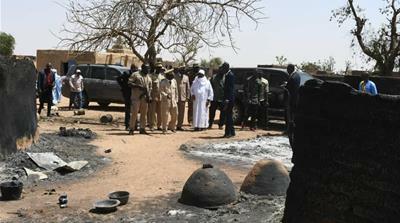 State TV said children were among those who died in the attacks, and at least 40 people were wounded. State TV blamed "terrorists" for the attacks, a term the Syrian government uses for rebels trying to overthrow Assad's government. 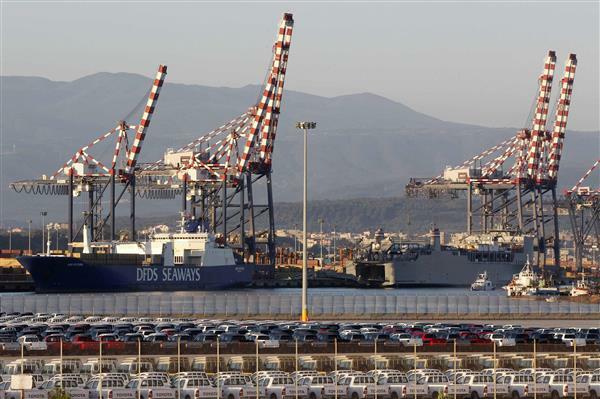 The international operation to destroy Syrian chemical weapons entered its final phase on Wednesday, as they were transferred by workers at an Italian port from a Danish freighter to a US military ship equipped to dispose of them. The first three containers to be transferred held a total of 20 tonnes of mustard gas. The remaining 75 contain the raw materials for Sarin nerve gas, among other things. After three hours, with the vessels moored stern-to-stern within a wide safety zone set up around the port, 26 containers had been taken off the Ark Futura by crane and manoeuvred onto the MV Cape Ray by a vast climbing platform. The operation is being overseen by the Organisation for the Prohibition of Chemical Weapons (OPAC). Safety officials in the area are constantly monitoring for the possible release of dangerous toxins into the air. Officials at the scene said between six and seven containers were being loaded onto the Cape Ray per hour. Once the chemical agents have been safely transferred, they will be destroyed in international waters. It marks the culmination of a programme to rid Syria of its chemical arms stockpile that followed chemical attacks in the suburbs of Damascus on August 23 last year. armed groups fighting the governments of Syria and Iraq, and of conspiring to commit an offense against the United States, officials have said. ISIS, was designated as a foreign terrorist organization by the US government. It said she met a co-conspirator, only identified as Y.M. in court papers, on the Internet sometime in 2013. It said the pair "shared their view of Islam as requiring participation in violent jihad against any non-believers," and Y.M. told her he was an active member of ISIL. It said Conley planned to travel to Syria via Turkey to meet Y.M., and first attended military tactics and firearms training with the US Army Explorers in Texas in February of this year. The court papers said the aim of the training was for Conley to provide support and help to ISIL fighters. It said she and Y.M. also planned for her to fight, if it was deemed necessary. This video posted on the Internet shows a group of armed men outside what they said was the entrance to al-Omar oil field. Rising violence of the past few years and record-low rainfall have made clean water in #Syria and neighbouring countries a scarcity. Despite all the obstacles, aid workers are getting food and medicines across the border to help millions of people in need inside #Syria. The opposition Syrian National Coalition said on Sunday that regime forces are preparing to launch a major assault on rebel-held areas of the northern city of Aleppo. The group's leadership, meanwhile, was meeting in Istanbul to elect a successor to SNC chief Ahmad Jarba. "The military situation is very difficult, the siege of Aleppo has become a reality," coalition spokesman Luay Safi said on the group's website. "Syrian troops are preparing to invade Aleppo," he said. 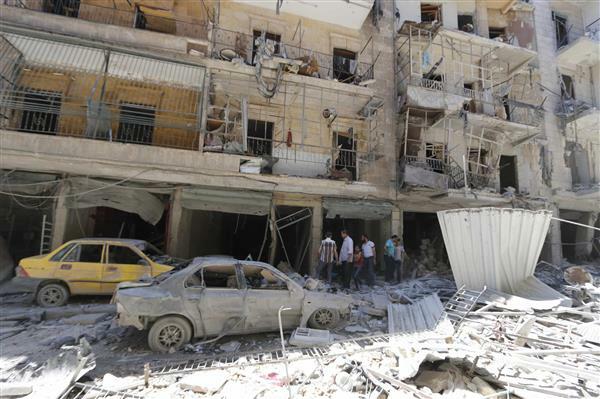 Aleppo, once Syria's commercial hub, has been divided since a July 2012 rebel offensive. Regime troops have made advances since last week, taking control of most of the industrial district in northeastern Aleppo and threatening to cut off rebel supply lines. Rebels fighting to topple Syrian President Bashar al-Assad control eastern parts of Aleppo and some districts in the north. Loyalist forces are mostly in control of southern districts of Aleppo as well as some western areas. The head of the international effort to rid Syria of its chemical weapons said Monday the next step is investigating possible discrepancies in Syria's declaration of its stockpile, as well as the destruction of its production facilities. Sigrid Kaag briefed the UN Security Council by video conference less than a week after the last of hundreds of tonnes of chemical weapons declared by Syria were loaded onto a US cargo ship for destruction at sea. "There is still a lot of outstanding business, including the destruction of production facilities, hangers, garages, etc., that need to be destroyed,'' Britain's UN Ambassador Mark Lyall Grant said as he went into the briefing. Syria's mission to the United Nations did not immediately respond to an email seeking comment. The media office of the Syrian National Coalition has officially announced that Hadi Al Bahra has been elected as the SNC's new president after he won a clear majority of votes. - Hadi al Bahra was born in Damascus in 1959. Graduated in industrial engineering from Wichita University in the US. - He Joined the SNC in August 2013 as independent member and was the head of the SNC delegation in the Geneva 2 talks. - During the Syrian uprising, al Bahra contributed to the establishment of support groups and coordinating communication between networks inside Syria and foreign media organisations. 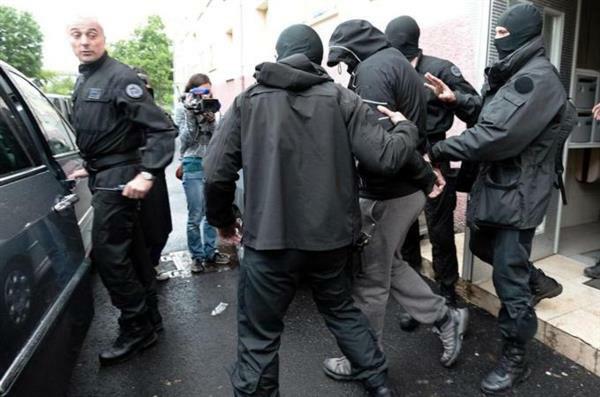 Government wants to prevent anyone suspected of links with armed groups from leaving the country. Free Syrian Army (FSA) fighters prepare to fire a mortar during what the FSA said was an offensive to take control of al-Zaalana checkpoint in Wadi al-Deif military camp, which remains under government control, in the southern Idlib countryside.
.@ICRC_sy & @SYRedCrescent provided in June water, food and health care for 160,000 displaced people in Lattakia and Tartous, #Syria. The United Nations Security Council is set to adopt a resolution on Monday authorising humanitarian convoys to serve millions of Syrian civilians by traveling from neighbouring Turkey, Jordan and Iraq. After weeks of negotiations, Australia, Jordan and Luxembourg drafted the text for a vote. Damascus's ally Russia, which has already used its veto on four Syria-related resolutions since the conflict began in March 2011, has no plans to do so this time. "We are close to a very good agreement," said Rwandan envoy Eugene-Richard Gasana, who holds the council's rotating presidency. 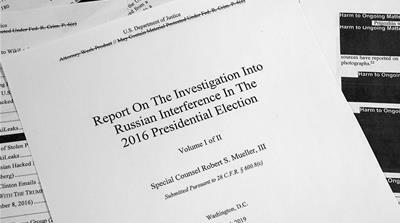 Ahead of final negotiations, Russian ambassador Vitaly Churkin had also expressed optimism, saying there were only two items that were still "unacceptable" for Russia. The shipments will travel through four different border crossings - two in Turkey (Bab a-Salam and Bab al-Hawa), one in Iraq (Al-Yarubiyah) and another in Jordan (Al-Ramtha). The United Nations accuses the Syrian regime of imposing bureaucratic and arbitrary obstacles to the delivery of humanitarian aid. Because of the restrictions and ongoing insecurity, 10.8 million Syrians need help, of which 4.7 million live in hard-to-reach areas trapped by the fighting or under siege by government troops or rebels. The proposed resolution sets a "monitoring mechanism" under UN chief Ban Ki-moon's authority to ensure that the "humanitarian nature of these relief consignments." 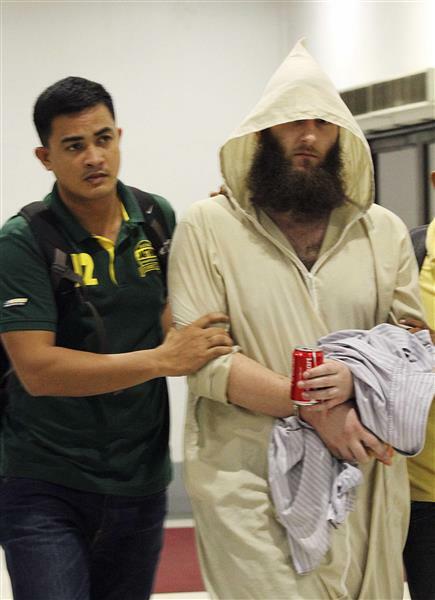 Robert Cerantonio (R), an Australian national and a Muslim convert, is escorted by police intelligence upon arrival at the domestic airport in Manila on Friday. The Philippines arrested an Australian national with suspected links to the self-declared Jihadist group, the Islamic State, after he urged Philippine Muslims on social media sites to support conflicts in Iraq and Syria, recruiting them to go to the Middle East. The arrest is the first known link between fighters in the southeast Asian nation and foreign jihadists supporting conflicts in the Middle East. Philippine Muslims took part in conflict in Afghanistan in the 1980s. Jordan, where the US Central Intelligence Agency has been covertly training Syrian rebels for more than a year, is reluctant to host an expanded rebel instruction programme, US officials said. Jordan's reticence, confirmed by four US officials, is a potentially serious setback for President Barack Obama's proposed $500 million initiative, announced in June, to train and arm moderate rebels fighting the government of Syrian President Bashar al-Assad and al-Qaeda-linked groups. While US officials have not made a formal request to the Jordanian government, the country was widely considered a top choice to host the training due its close security relationship with Washington, proximity to neighboring Syria and pool of more than 600,000 Syrian refugees. Activists are reporting heavy fighting between fighters from the Islamic State group and Kurdish militias in northern Syria, saying fighters have captured a dozen militiamen. The UK-based Syrian Observatory for Human Rights and Turkey-based Kurdish activist Mustafa Osso say the clashes concentrated Sunday in the region of Kobani, also known as Ayn Arab. The Observatory says 12 Kurdish fighters have been missing since Saturday during battles with the Islamic State group. Jabhat Nusra and Islamic Front fighters are carrying out a campaign against several groups they accuse of smuggling and looting in the northern Aleppo countryside, activists reported. 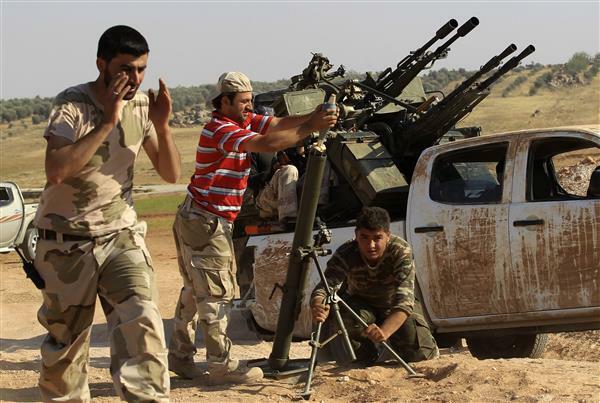 Jabhat Nusra is also carrying out a similar crackdown in Idlib province in border towns next toTurkey. The group says it is targeting "corrupted" factions and Islamic State group sleeper cells. The self-declared jihadist group, the Islamic State, took control of the rebel-held half of the eastern Syrian city of Deir Ezzor Monday, buoyed by advances in neighbouring Iraq, a monitoring group said. Rival rebel groups fighting forces loyal to President Bashar al-Assad either changed sides or fled from the strategic Euphrates valley city, the Syrian Observatory for Human Rights said. Assad forces remain in control of the other half of the city, a provincial capital and pre-war hub of the country's oil industry. 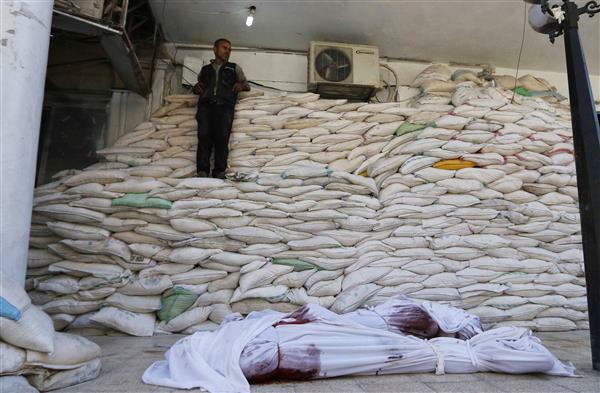 Syrian Red Crescent trucks loaded with 1,000 food parcels crossed into a rebel-held Damascus suburb that has been besieged by government troops for more than two years as heavy clashes broke out between Syrian rebels and Hezbollah fighters near the Syria-Lebanon border. The border area has long been a flashpoint in the Syrian civil war. Since November, Syrian government troops, backed by Lebanese Hezbollah fighters, have been on the offensive in Syria's mountainous Qalamoun region, trying to clear it of opposition fighters. The government side has so far captured most towns and villages there but hundreds of rebels are still active in the rugged region. The latest clashes broke out on Sunday after Syrian rebels tried to infiltrate into Lebanon and clashed with Hezbollah fighters, said officials in eastern Lebanon, speaking on condition of anonymity in line with regulations. They said the fighting, which took place near the Lebanese village of Youneen, ended at dawn on Monday after Hezbollah took control of the nearby hills. The Britain-based Syrian Observatory for Human Rights said the fighting left seven Hezbollah fighters dead and 31 wounded. The activist group said 17 rebels were killed and 23 wounded, and that Hezbollah fighters captured 14 rebels. The Lebanese officials confirmed that a number of Hezbollah fighters were killed in the battles, without giving a figure.